Variety is reporting that Disney is currently shopping the TV rights for Star Wars on TV in a nine film package that includes all seven released films as well as the upcoming Star Wars Episode VIII and Star Wars Episode IX. 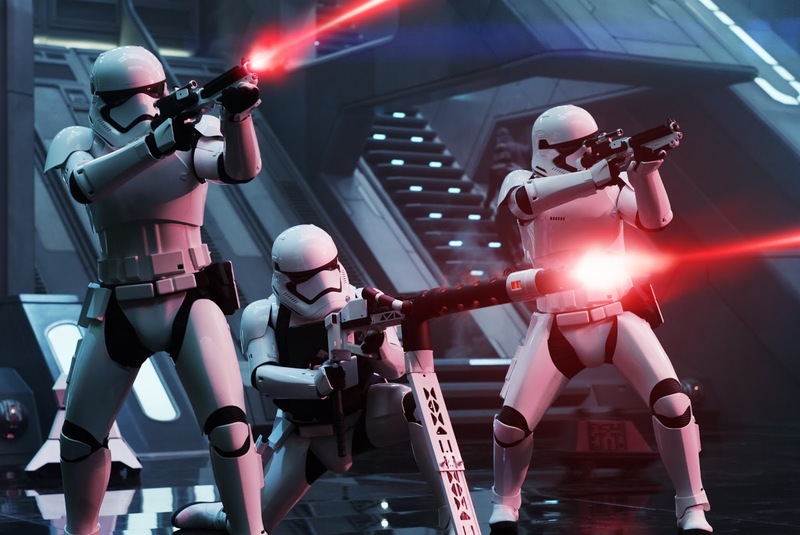 Disney is reportedly seeking $30 Million for each installment of the Sequel Trilogy. "Execs with Disney/ABC Home Entertainment and Television Distribution began a blitz of pitching prospective buyers last week that will extend into this week. Industry sources say Disney is hoping to nab some $30 million apiece for “Force Awakens” and the following two titles, “Episode VIII,” slated for 2017, and “Episode IX,” expected in 2019. The asking prices for the six older titles in the series — which started in 1977 with “Star Wars” — is unclear but sources characterized it as it high, especially for vintage titles. It’s expected that the package will also include other non-“Star Wars” titles, yet there’s no question that the Force is the driving force in this package. Among the cable outlets that are believed to have been pitched or scheduled to meet with Disney execs are Turner, FX Networks, Viacom, NBCUniversal (focusing on USA and Syfy), A+E Networks and AMC Networks." The main issue Disney is facing in finding a deal is the fact that Episodes VIII & IX fall under Disney's deal with the online streaming service Netflix and one source tells Variety that this has some networks concerned over the exposure of those films on TV.